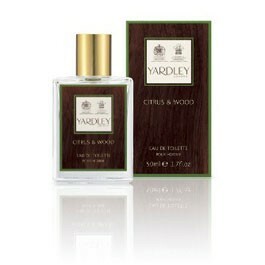 Today my Fathers day gift was a bottle of Yardley London’s Citrus & Wood Eau de Toilette. Mention Yardley to anyone and the first thing they will likely think of is how their Gran smelt of Lily of the Valley in the 1980’s. It is fair to say that the iconic British brand suffers from its old fogey reputation. While perhaps no longer a trend setter, I neither sport a blue rinse nor am I close to drawing my pension. However, when Yardley London were kind enough to give me a bottle of their Citrus & Wood Eau de Toilette a year ago and it quickly became my favourite scent. It has taken nearly 12 months to get through the one kindly given to me. So, I was delighted when a replacement was handed to me by Lucan this morning in recongnition of my years worth of fatherly duties. I find many of the popular men’s ‘fashion’ fragrances rather sickly and much prefer woody/spicy smells of the sort that seem to be a little rare in your local Boots store. This particular Yardley fragrance is perfect for me – a mix of oak and sandalwood with a hint of zesty lime. It also has a couple of added bonuses in that it is made in the UK and is only £10 for 50ml. So, I am now on my second bottle and am sure that it will not be my last. What a shame that it only seems to be available on-line. No opportunity to have a smell first, plus postage to pay fro delivery. We found it on a local chemist shop in Sevenoaks, Kent but if your are looking in your local Boots or Superdrug you might be out of luck. I think even with a few quid on delivery it still represents good value. I must be a grand old lady of 56 as Yardley Lily of the Valley is one of my favourite perfumes , I will keep a look out for the London Citrus for the man about the house now…thanks for the tip off!